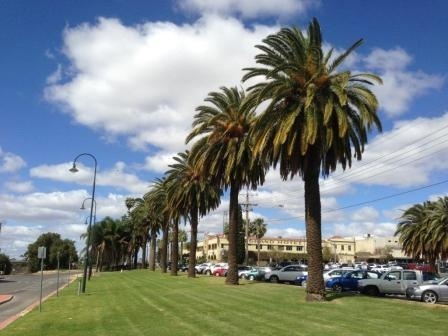 This is an impressive row, lining the north side of 7th Street and within the garden associated with the Mildura Railway Station. 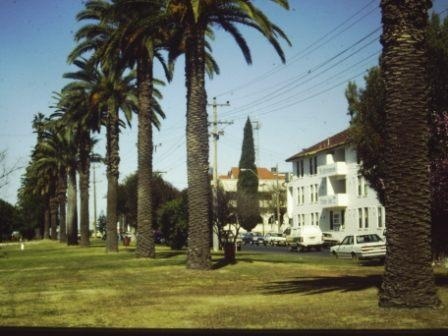 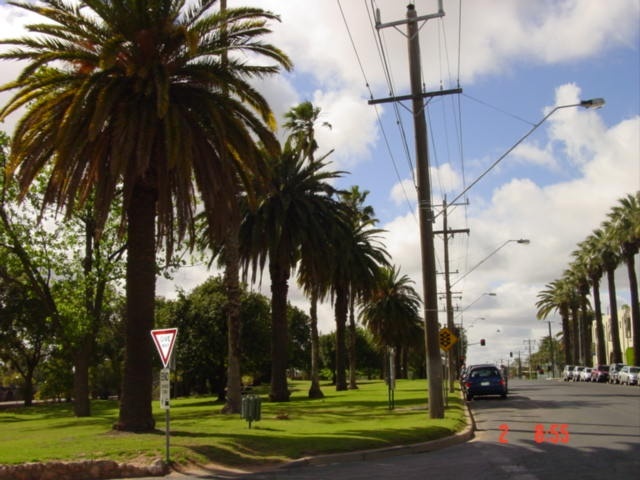 The planting is randomly spaced 16.2m to 12.2m apart and includes a rare Jubaea chilensis and three Washingtonia robusta. 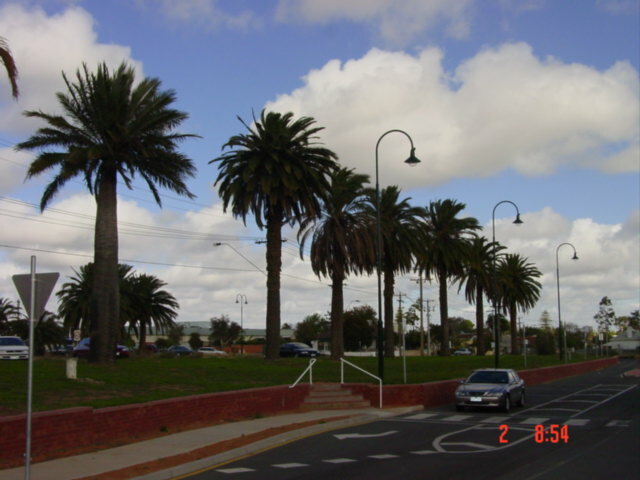 The planting makes a major contribution to the streetscape and a strong structural element in the long narrow reserve.